There’s a significant birthday looming and the pressure is mounting. How do you celebrate in suitable style, with a party that you, your friends and family will always remember? At Woodhall Manor, we have a team of fabulous party planners brimming with ideas – here are their favourite milestone birthday party ideas. If you’re arranging a party for someone else, you must consider their feelings and wishes for the big day, even if you are ultimately responsible for organising the event. For some, a surprise party would be a nightmare come true, whereas others would be delighted to have a party sprung on them. Consider who the party is for, and put their feelings first – you won’t regret it. 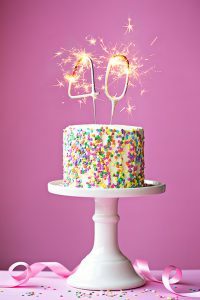 Whether you’re about to turn 40, 50, 60 or 70, it’s likely that most people on your guest list will be aware of your age, so there’s no point being coy now! Accept the inevitable, embrace the big number and why not use it as the theme for your party?  Your birth year offers a great option as the theme for fancy dress – the swinging 60s and disco-tastic 70s are as famous for their fashion as their music so you won’t be stuck for outfit inspiration. When you send out invitations, why not ask every guest to suggest their favourite song from the year of your birth and use their recommendations as the starting point for your party playlist? Regardless of whether you’re arranging the music yourself, or hiring a DJ, this is a great way to get guests involved before the event, and gives them something to look forward to on the night. For parties that include a range of age groups, you can get the children involved by asking them to nominate their favourite song from this year. This way, they’ll still feel included, and you’ve a better chance of getting them onto the dance floor once the party’s in full flow. To really embrace your era, a tribute act is hard to beat. 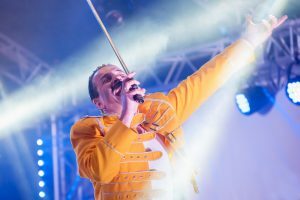 With loads of tribute bands available, you could enjoy a night of Queen, Abba or the Beatles – the massive chart-topping hits are popular with every age group. We really recommend booking an entertainer for your party. It gives the event some structure and is a good way to bring everyone together to enjoy a shared experience. 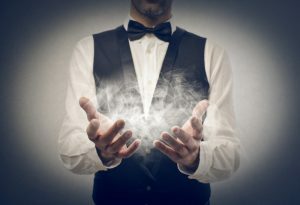 Magicians and comedians will often offer to perform more than one act so that they can cater for different age groups. You can settle all the children to watch the first act, and then let the adults enjoy a performance later on in the evening. For a grown-up, sophisticated occasion, we love a casino night. Give all your guests fake money from the bank of the birthday boy (or girl) and hire roulette and blackjack tables. It should go without saying that a black tie dress code is essential, and of course, cocktails should feature heavily in your celebrations. There are almost endless options for party catering so we highly recommend going for an option that’s going to appeal to the majority. If you’re hoping for a relaxed affair, then finger food from a buffet is perfect – we have a wide selection of options at Woodhall Manor. For something more unusual, live cooking and grazing stations are a popular choice and give people the chance to try lots of different dishes. For a fine dining experience, then consider a silver service banquet and go all out on indulging yourself and your guests. Whatever the occasion, if you need more milestone birthday ideas, then we’d love to help suggest some memorable options for marking a magical birthday.